Improve your data center uptime while lowering your storage management costs. Constellation ES.2 drives operate on average at fewer than 12W-the lowest 3TB* drive operating power in the industry. Save up to 54% more by implementing Seagate PowerChoice™ technology's on-demand idle power savings feature. Maximize data center footprint utilization by supporting up to 114TB per square foot. 1.2M hours MTBF and 0.73% AFR deliver the highest level of reliability for a 24x7 capacityoptimized drive. Chassis performance is improved through top-cover attached (TCA) motor design. Best-in-class vibration tolerance ensures consistent, reliable data access and performance in multi-drive systems. Built upon leading experience in enterprise storage, the Constellation ES.2 drive maximizes capacity while providing best-in-class features. 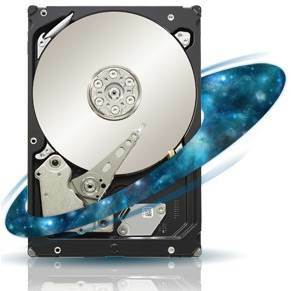 The Constellation ES.2 drive significantly improves performance with a 6Gb/s interface, the first capacity-optimized drive with 6Gb/s performance in both SAS and SATA interfaces. Improved data security comes from Self-Encrypting Drive (SED) technology based on the AES-256 standard and with FIPS 140-2† solutions that protect data where it lives-on the drive. Ideally suited for use in both server and networked storage bulk-data solutions, the Constellation ES.2 drive offers a host of impressive enterprise features along with a faster, more successful integration experience. The Constellation ES.2 drive, with its maximum capacity and robust enterprise reliability, provides a sustainable solution for your expanding data storage needs; designed to meet and exceed your expectations, it allows you to come in under power and under budget.